By now, it’s likely that you’ve heard about Salesforce’s new user interface, Lightning Experience. Lightning has been in the works for some time (We even blogged about it back in 2014–clearly, it has come a long way since then!). Now it’s being iteratively rolled out as part of the usual Salesforce release cycle. That means that if you’re unfamiliar with Lightning, it’s time to get acquainted with the future of Salesforce. I summarize Lightning Experience as a regrouping and repackaging of Salesforce functionality in an updated format. The new, sleek user interface is a full overhaul on the look and feel of the Salesforce user experience. This modern design and functionality provides a more intuitive navigational system. This re-engineering of the platform also unifies the mobile and desktop dashboards into a common user interface, so users can locate elements across both in a more intuitive way. Lightning also contains extensions to make it easy for app developers and admins alike to deeply customize the user experience. The main impetus behind these updates is empowering sales reps to more effectively find information on their Leads, Opportunities, Contacts, and other related data so they can close deals faster. The UI brings similar Objects together and makes searching easier. A lot of organizations will find the switch enticing and will be tempted to immediately make the change in their orgs. All of that sounds pretty great, right? So why not jump head first into Lightning Experience? Although many custom Visualforce pages will continue to work as intended, updates may need to be made to point users to new locations for custom actions and tabs. Salesforce has created a Trailhead module for Visualforce developers to go over how to handle some of these changes. Lightning Experience does not support several report features that are supported in Salesforce Classic. This includes creating joined reports and the ability to print reports (via Salesforce), export reports, or subscribe to reports. Additionally, users cannot schedule report refreshes in Lightning, but refreshes that were previously scheduled in Salesforce Classic continue to work. While list views maintain their normal functionality, Salesforce recommends using filter logic and seeing which list views are used by groups in order to make sure users are able to access them after the switch to Lightning Experience. It’s important to note that mass actions, like modifying or deleting multiple items in a list at once or adding multiple records to a campaign, are not supported. Note that this is just a high-level list of important considerations and does not by any means cover all of the things you might want to think about before making the switch to Lightning. 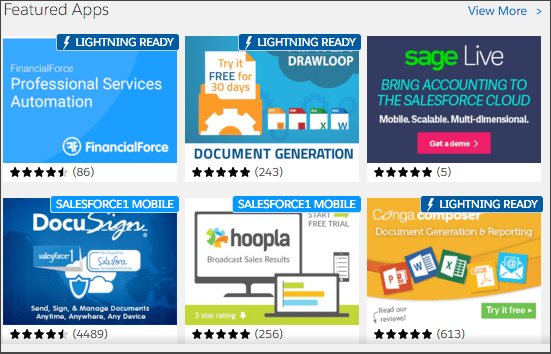 Salesforce provides a full list of considerations here: What’s Not Available in Lightning Experience. Salesforce recommends rolling out Lightning in a formal way and treating it as a project with stakeholders, sponsors, a migration plan, and a series of milestones to ensure readiness and organizational alignment with the new approach. Even though just “turning on” Lightning is an option, most organizations will benefit immensely from taking a more strategic approach to rollout that will help prevent future headaches. At Red Argyle, we’ve been watching the Lightning Experience feature set grow and gain momentum for our clients and for the Salesforce community in general. It is definitely an exciting and much needed update to sales-based processes and to the overall user experience. We’re helping some of our clients through the transition by performing a gap analysis and recommending potential items for further review. We’re also offering support in migrating clients to Lightning now so that they can begin to experience all of the features that Salesforce will be rolling out in feature releases. If you have insight on how Lightning has been working for your organization, leave us a comment below or via Twitter. We’ll be providing more insight into Lightning Experience in future posts, so be sure to keep an eye out!